Archive from category "Group Fitness Classes"
WIN $3,000 IN PRIZES…PROGRAM STARTS JANUARY 29th! 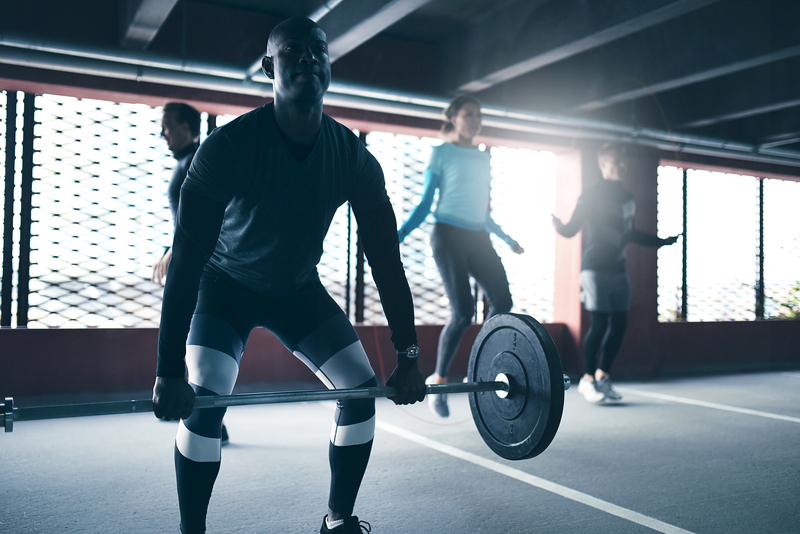 Up your fitness game and achieve proven results with our NEW 7 Week Winter Challenge designed to reward you with an amazing total-body transformation to help you become stronger and more confident. Whether you’re just starting out or a seasoned BODYROC’er, this powerful program will help you challenge yourself and refocus your wellness goals. At Home Fitness Videos For Extra Credit! The definition of a Goal Chaser, this busy mom of four never gets tired! You can find her crush’n back to back sessions at BodyRoc FitLab 7 days a week! 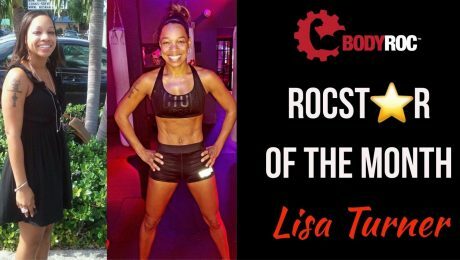 Introducing our JANUARY ROCST R OF THE MONTH, Lisa! ” After countless hours at local gyms, a friend from work introduced me to BodyRoc. I’ll admit, it was a huge challenge for me. I was never into weight lifting so I was extremely weak. Never boxed so I felt awkward and out of sync. And it was my first time running on a TrueForm treadmill so even though I was a runner, I appeared to be an amateur. I wasn’t sure if I would return to BodyRoc, but I did and it was the best decision I made! I went from going 2-3 times a week to becoming a full time member. Now, you will catch me at the FitLab 8 times a week consistently! I went from hating boxing to loving it! Worked my way from 5lb weights to lifting 20 lbs for most exercises. Went from running a steady pace of 8-10 to 13-14 on my best days on the TrueForm treadmill. I also never knew how much definition I could get in my abs! Now, it’s one of my favorite features on my body! 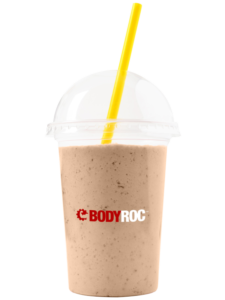 The trainers and staff at BodyRoc are so helpful and caring. They have helped me grow not only mentally and physically, but have assisted me with my nutrition as well. In the beginning, my eating habits were horrible. I would eat junk and one big meal a day. Now, I eat 3 meals a day and 2 healthy snacks in between while giving myself the flexibility to enjoy what I like within reason. BodyRoc had become a second family to me. We laugh, joke, cry and support each other all at the same time! The DJs and playlists are dope and the atmosphere is unmatched by ANY gym around. The owner, staff, and the rest of the RocSquad is what keeps me here! I can’t wait to see what other goals I can reach, and I’m honored to have been chosen! This is the very first BEST thing that happened to me in 2018! 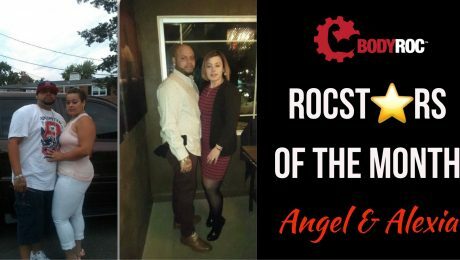 Introducing our December ROCST R OF THE MONTH, Cindy! Cindy is a frequent BodyRoc’er in our 5:30am classes, and she never travels alone. You can always find her taking class with her squad ! 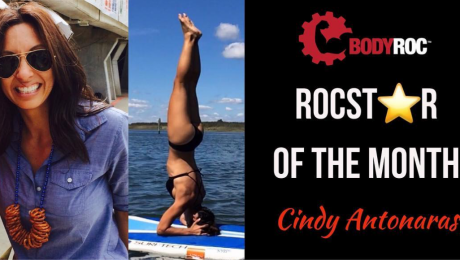 CRUSHING her workouts with BodyRoc since October 2015, Cindy tells us a little more about herself and why she loves BodyRoc FitLab! ”I have been working out for years and I have NEVER come across a more challenging and entertaining workout. The level of intensity that each class demands has made me stronger both mentally and physically. The motivation and energy from the instructors, members and staff are qualities BodyRoc encompasses that make you push yourself past your limits. I remember going to BodyRoc when it first opened. It still needed a few finishing touches, yet when the lights dimmed, the music started pumping and the workout had me gasping for air; I knew BodyRoc was going to be a special place. BodyRoc, keep embracing everyone with your spirit. You are changing lives. – xoxo. 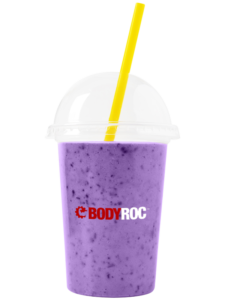 BODYROC is looking for motivated, knowledgable, and passionate fitness professionals to join our squad! 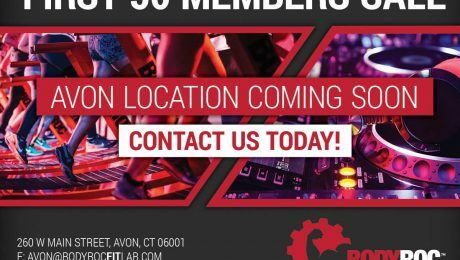 If you are an outgoing, positive, and energetic person who loves to encourage others to achieve their fitness goals while providing a unique, world-class fitness experience in a custom high-energy atmosphere, you could be the right person for us! 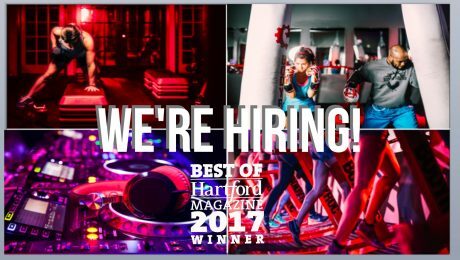 Voted Best Place to Workout and Best Gym by Hartford Magazine 2017! Here’s a little-known fact: the holiday season does not actually have to be synonymous with weight gain. A lot of people lose their motivation this time of year, between long hours at work, holiday stress, and continual feasting. Whether you’re new to fitness or you’ve been exercising for years, it can be hard to stick with it. Instead of falling off the wagon this holiday season, give yourself the gift of health by checking out some group fitness classes. You can reap many rewards when you combine exercise with a fun, high-energy group atmosphere. Working out on your own, whether at home or in the gym, can lead to bad habits, such as improper form. 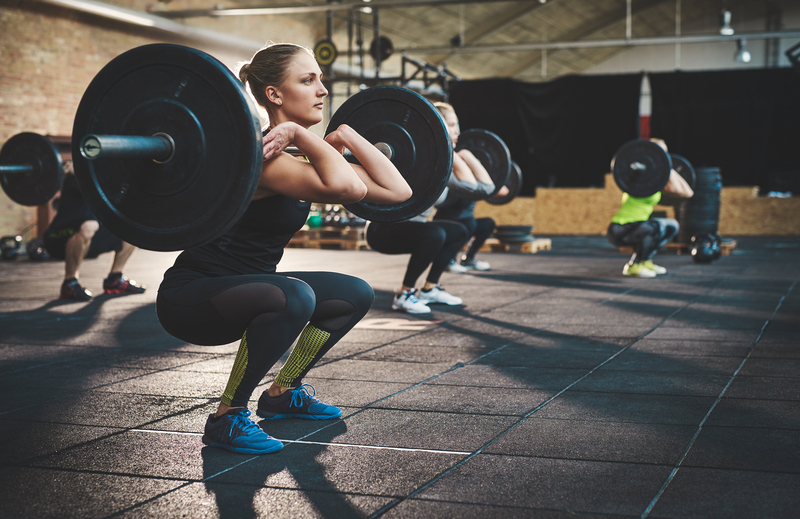 One of the main causes of exercise-related injuries is bad form. If you don’t perform an exercise properly, you can easily hurt or strain yourself. Associating exercise with unpleasant or painful sensations will certainly decrease the likelihood of wanting to continue. With group fitness classes, you have an experienced instructor that can personally show you how each movement should be performed. In addition to the demonstration, instructors will also physically guide your form or posture if you start to lapse. This significantly decreases any risk of injury. Instead of feeling sore and depleted, you’ll leave class feeling energized and healthy. It takes a lot of discipline to push through your own mental barriers. When you workout by yourself, the only person to hold you accountable is yourself. Sometimes, you may unintentionally let yourself off a little easier than you would if someone else were with you. People tend to push themselves harder when there are others to witness their capabilities. Group fitness classes provide the ultimate motivation to help you surpass your perceived capabilities. You’re in a room surrounded by people who are all there to achieve goals similar to your own. No one is there to pass judgment or mock anyone else. It’s an atmosphere of positivity and encouragement, with the goal of helping everyone complete the workout. 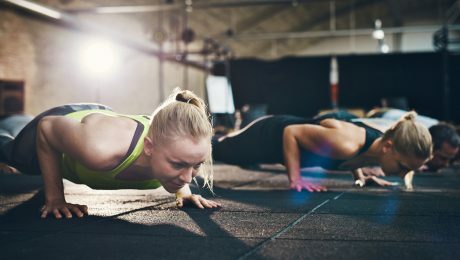 Group fitness classes are a great way to socialize and connect with a group of like-minded individuals. Working out in a group setting creates a special bond between you and your classmates. You all have something in common, and everyone helps each other achieve their goals together. It’s also easier to live a healthy lifestyle if you surround yourself with healthy people. You can connect with your classmates over a protein shake and share tips, motivation, or recipes. The most important component of good group fitness classes is also the most appealing – they’re incredibly fun! Not only are they designed to deliver effective workouts but they’re also supposed to be a positive space where people come together and have a blast. Everything from the music and lighting to the actual structure of the workout is geared to make it as engaging, motivating, and enjoyable as possible. Many people fall into an exercise slump around the holidays. It can be hard to stay motivated with everything else going on. In addition, working out alone can become stale really quickly. By taking on some group fitness classes, you can finish December strong and roll right into the New Year without any holiday hangover. Variety is the spice of life, and the group fitness classes at BodyRoc Fit Lab offer all the variety you could ask for. There’s something new every day, which means you’ll never get bored or lose motivation. If you’re new to BodyRoc, we have a helpful list for beginners. If you still have questions, reach out to us today!